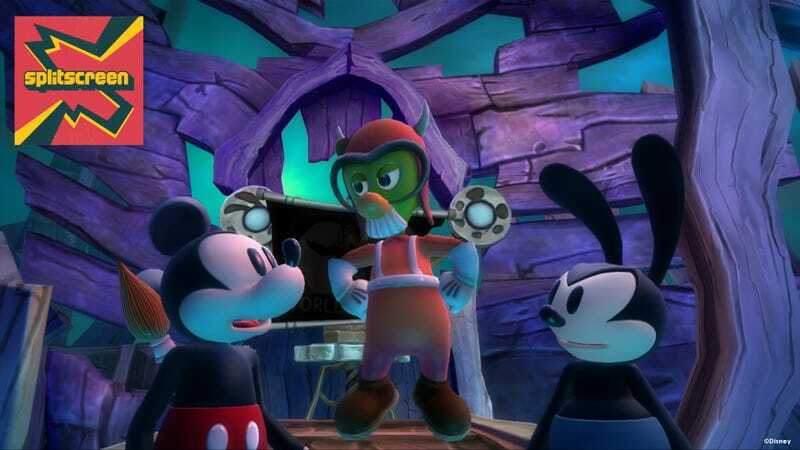 After his time producing and directing immersive simulators like System Shock and Deus Ex, legendary designer Warren Spector made waves when he announced Epic Mickey, a game about a certain famous mouse. What other ideas does Spector have rattling around his brain? On Kotaku Splitscreen, we discuss. Last week at E3 in Los Angeles, I sat down with Spector to pick his brain about System Shock 3, the resurgence of simulation games like Prey, and his love for Suikoden. We also talk about the origins of “0451" and his wild ideas for new video games. Jason: I think a lot of people were surprised to see you go back from Epic Mickey back to the world of immersive sims. Some people thought you might go in some wild, radical directions. Do you have any other ideas in your head of games like Epic Mickey, wild departures you want to pursue? Spector: Oh, sure. Funny thing, I’m often approached by people who say, ‘I’ve got a great idea for a game — you make it, and we’ll split the profits 50-50.’ What I tell them is: Ideas are the easy part of this business. I’ve got, and this is not an exaggeration, 300 game concepts on my hard drive. Some of them are pretty wacky. The one that I’d love to see somebody fund sometime is the one-block role-playing game. Spector: Yeah, I’ve got a game in my head, I don’t know exactly how to make it, which is the reason to do it of course. Basically simulate one city block in excruciating detail with a bunch of NPCs, all of whom have their own stories, an immersive simulation. You get to decide how to interact with all these people. And instead of going miles wide and an inch deep on the simulation side, go an inch wide and a mile deep so you can really do anything you can think of. That’s probably the craziest idea I’ve got. Jason: So they each have such in-depth personalities—that sounds incredible. Spector: Yeah, really focus not just on physics simulation and that systemic approach to development, and to gameplay, that the immersive simulation is known for, but really go deep on non-combat AI. Jason: You know what you need to do? Take that and add Sesame Street. So it’s an RPG entirely set on Sesame Street. Spector: (laughing) Oh man, that’s an interesting idea. I think I might get death threats. People weren’t happy with me for leaving the world of guys who wear sunglasses at night and trenchcoats in the middle of summer and carry two guns to make a Mickey Mouse game. Jason: (laughing) Well the people who weren’t happy with you were outnumbered by the millions of people who bought the game and enjoyed it. For much more, listen to the full interview. As always, you can subscribe to us on Apple Podcasts and Google Play to get every episode as it happens. Leave us a review if you like what you hear, and reach us at splitscreen@kotaku.com with any and all questions, requests, and suggestions.